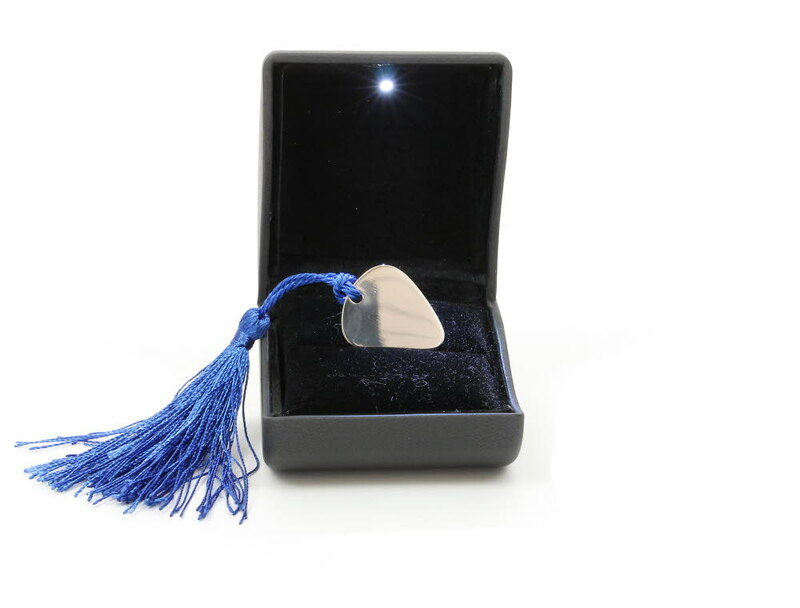 Personalised Engraved Silver Plated Guitar Plectrum/Pick Bookmark. A perfect unique gift that noone else will have! Comes with a FREE gift pouch too! Please select your font preference by using the drop down list below and detail your text by pressing the customize button.